Our Services: Laser Treatments and More! Our expert staff offers foot and ankle services for all of San Leandro, Pleasanton, and Los Gatos, California. We focus on thorough treatment and offer an array of podiatric services to help you maintain healthy feet and an active lifestyle. We offer our expertise in pedicure and nail trimming, orthotic casting, as well as laser treatment for fungal nails, just to name a few. In fact, our focus on fungal nail services has helped many patients who have tried numerous other methods to rid themselves of the condition. With our high-tech lasers, they have finally found something that works! We have successfully treated more than 5,000 fungal cases in the last 5 years. Bunions - Misaligned big toe joints that become painful as a result of friction from shoes. 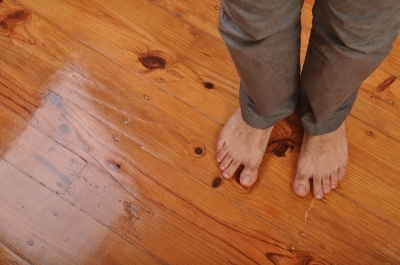 Flat Feet - A fairly common condition, this is when the arch of the foot does not develop. Hammertoes - Deformity where the toe is bent at the middle joint, forcing it into the shape of a hammer. 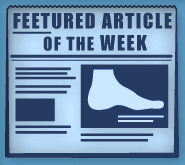 Heel Pain - Most commonly traced to plantar fasciitis, an inflammation of the band of tissues that connect the heel bone to your toes. Athlete’s Foot - Infection caused by various fungi found in public places. Corns and Calluses - A result of repetitive friction, these are compacted layers of dead skin that can rub and cause discomfort. You only have one pair of feet to last you an entire lifetime, let us take care of them. We are the experts. We focus on providing our patients with the best technology available—that's what sets us apart from other offices in the area. Our in-office technology includes our Genesis Plus Cutera, MLS Pain Laser, and Diagnostic Imaging. We strongly believe in the healing processes of our laser treatments and employ the use of our lasers whenever possible—from orthotic care to general surgery to fungal nails. Our treatments are very thorough. We focus on full care and full service. Our entire staff will be involved in your journey to good health. From our wonderful medical assistants to our friendly nurses, each of them will have a hand in your treatment to ensure a speedy recovery. You’ll receive follow-up phone calls and weekly checkups—all along the way, you will never be in it alone! When you're a patient, you're family. We treat feet of all ages from across the entire Bay area and surrounding towns. If you are suffering from a foot or ankle condition, don't hesitate to contact the experts at Foot Doctor of the East Bay or our Laser Nail Centers Podiatry Group—the experts in laser treatment for fungal nails. With 3 locations to serve you, in San Leandro, Pleasanton, and Los Gatos, CA, we'll get you and your feet healthy and happy in no time. Trust your feet to Dr. Michael Stein and Zeindelin Ahmad, DPM. Call for an appointment by dialing (510) 483-3390 in San Leandro, (925) 425-9684 in Pleasanton, or (408) 356-6767 in Los Gatos CA. We are here to serve you!